With Cars 3 in theaters on June 16, we caught up with the voice of “Darrell Cartrip” —three-time NASCAR Cup champion and FOX Sports analyst Darrell Waltrip. “You’re by yourself,” said Waltrip, 70. “People think we all get together. But no. I never even knew who Owen Wilson was. But I did know who Mater [Larry the Cable Guy] was! … You’re shooting in the dark, because you don’t know where your part fits in. You don’t know how you’re playing off of somebody, or somebody’s playing off of you. There’s a guy on the other end, and he will read you a line to lead you into your line. But it’s just a couple lines. You do what you do, and it all works.” That’s a slight understatement by Ol’ D.W. It all works very well. 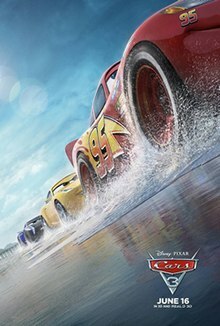 Cars and Cars 2 combined to gross more than $1 billion worldwide.